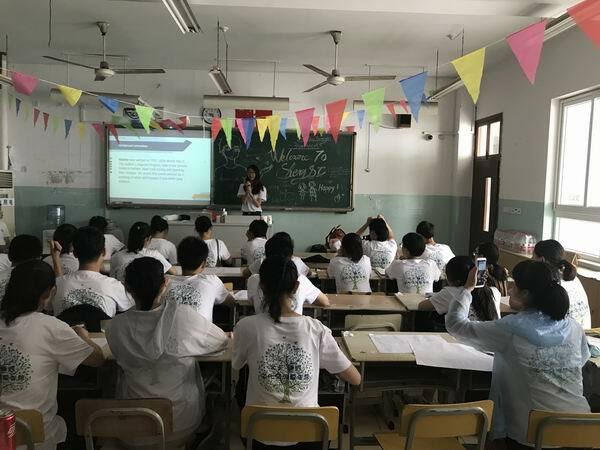 A middle school in Shengsi, an island county in the northernmost area of Zhoushan, Zhejiang province, held its first summer camp on July 5-9 with 11 Chinese American middle school students from North Carolina, the United States serving as volunteer "teachers". The event was initiated by Wei Hongfang, father of one of the American students. 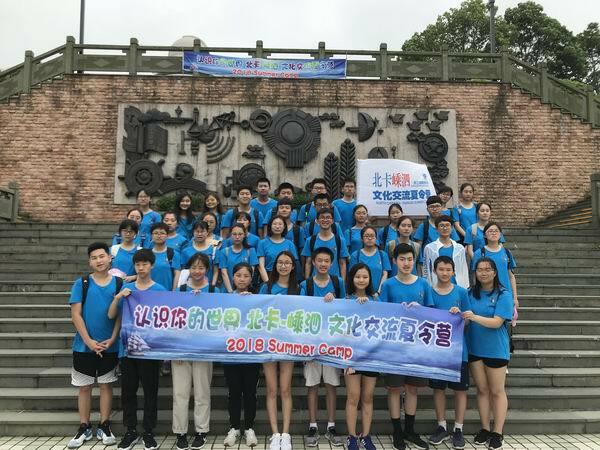 Upon knowing the students from North Carolina had an intention of volunteering in China, he managed to contact Shengsi Middle School and proposed the camp idea, to which they accepted. The 11 little "teachers" are all excellent at studies and have their own strengths, said Wu Jianqin, a teacher from Shengsi Middle School. During the five-day activity, they gave lectures on debating, drama, fiction, poetry, music and physical exercises from their own perspective. Wang Sijia, one of the "teachers", prepared long for the lecture on American poetry and taught students how to write English poems. "We also prepared some American games and operas for them to improve English and learn about American culture," said Wang. 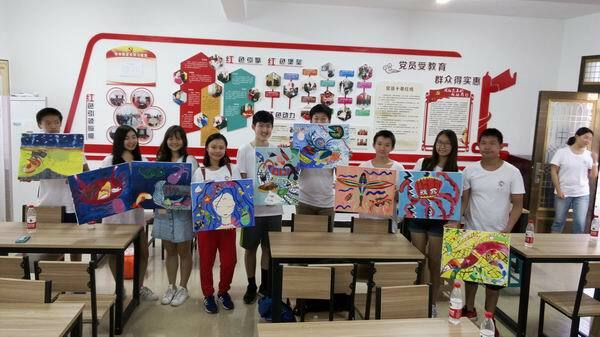 The summer camp opened up a brand new window for students at Shengsi Middle School, enabling them to see the world from a different angle, as well as to enhance their English language skills. "This camp improved my oral English a lot," said Yang Siqi, a student from the school, "It also broadened my view and increased my understanding of American history, sports, education and entertainment." For the students from North Carolina, this experience was more of a root-seeking journey from which they had a chance to learn about their motherland culture and feel a strong sense of cultural belonging. The beautiful scenery of Shengsi as well as its unique fishing culture also left a deep impression on these students. "I was really enchanted with the charming views, the nice people here and their distinctive fisherman's songs," said Fang Rui, one of the students from North Carolina.